Our clinic is the only in Jelenia Gora specializes in dental treatment under general anesthesia (general anesthesia) has been 20 years. We are one of the three medical centers in Lower Silesia, which treats dental mentally disabled persons in general anesthesia. General anesthetics are eligible adults and children, after an earlier interview and research. Before the surgery is performed panoramic photo and detail the exact treatment plan discussed between doctors and patients. General anesthesia was maintained in our specialist clinic anaesthesiology and intensive therapy with 25 years of professional experience and specialist dentists perform the treatment. Professionally run treatment is fully safe for the patient. Narcosis (anesthesia, narcosis) is a type of anesthesia, which eliminates the pain, and temporarily disables consciousness. Before anesthesia the patient is connected to the apparatus controlling the work of the heart (ECG), blood pressure and pulse. 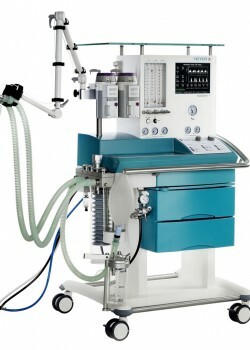 Continuously monitored in a patient during general anesthesia. Founded pulse oximeter sensor on the finger indicates that the blood oxygen saturation is appropriate. After surgery under general anesthesia, the patient remains in the hall of awakenings under medical supervision. During this anesthetic may be conservative treatment, surgical, prosthetic and implant at the same time!